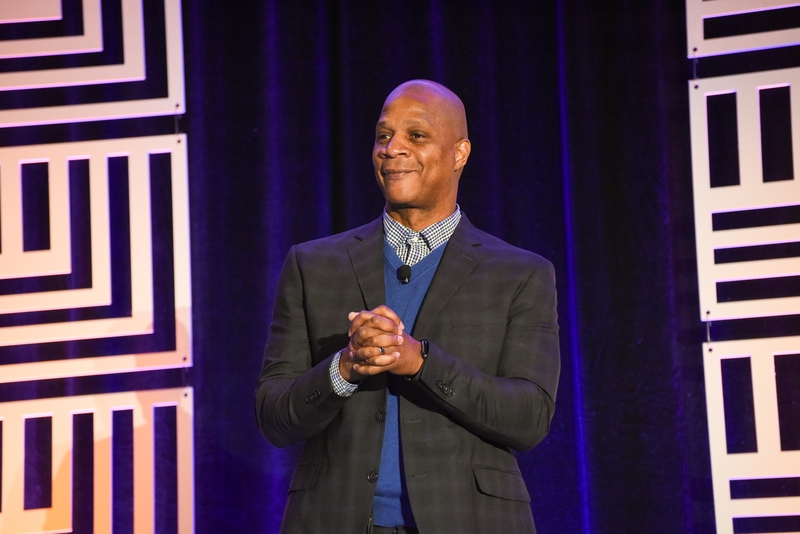 Darryl Strawberry, the former outfield great, is no longer. 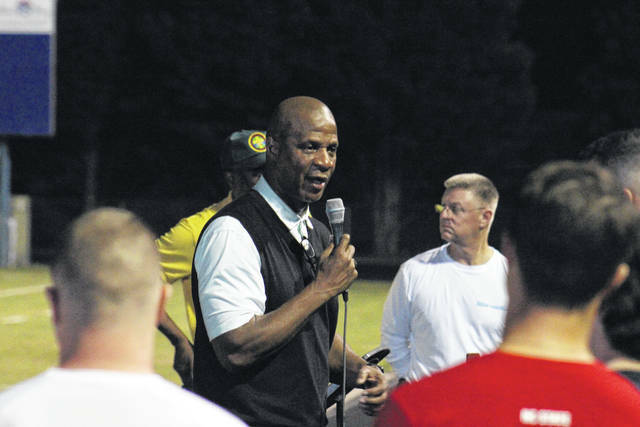 Darryl Strawberry, the ordained minister in this town 30 miles west of St. Louis, is very much alive. “I’m over ‘Strawberry,’ ” he tells USA TODAY Sports. “I’m over Mets. I’m over Yankees. 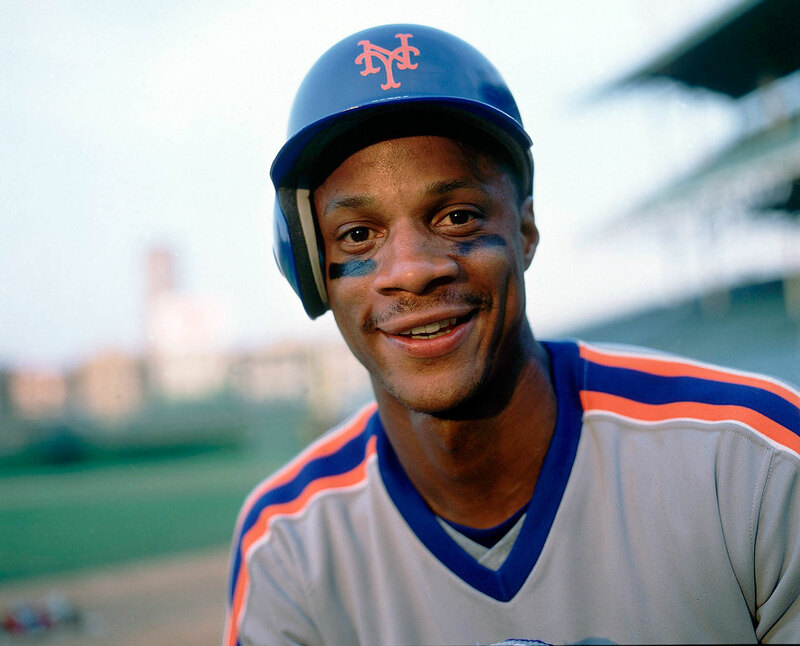 I don’t want to exist as Darryl Strawberry, the baseball player. “People don’t understand that’s no longer you. I’m not a baseball player, anymore. Strawberry, who last week said this is his first interview with the media since becoming a preacher and opening his own ministry three years ago, declined previous requests because of his past. He’ll talk two hours about his drug and alcohol addiction. He’ll tell chilling details about prison life and crack houses. He’ll tear up telling the pain and shame he caused his family, six children and two ex-wives before marrying Tracy, also an ordained minister, six years ago. He plans to spend the rest of his life talking about his passion, and sharing the love in his heart to impact lives, providing a reward much greater than anything he felt on the baseball field. Strawberry, who remains proud of his baseball career, realizes there could be awkward moments this weekend when he travels to New York with 13-year-old daughter Jewel to the All-Star festivities and game at the Mets’ Citi Field. There will be plenty of autograph and photo requests, and fans wanting to talk about the Mets’ glory days when they won the 1986 World Series. There will be corporate parties, some that are mandatory, as part of his obligation with the Mets. But this is a man uncomfortable re-living the past, knowing he can change the future. It’s nothing personal, he says, but he merely has moved into another stage of his life. Pastor Darryl. Who would have thought? Certainly, not the former teammates, many who partied right alongside Strawberry, and now see a changed man. “He’s been a friend of mine almost 30 years,” former Mets pitcher Bobby Ojeda says, “and you wondered how bad he would wind up before he gets it. Or if he would ever get it. I saw the highs and the lows as a friend, but I quite frankly did not know how bad things were for him. Damaging yourself is one thing, but damaging other people, and seeing what you left behind, is another. I think he got it before he completely flushed away his life. Strawberry and his wife, each twice-divorced, met 13 years ago at a narcotics center convention in Tampa. Tracy, hooked on cocaine, crack and crystal meth, had been clean for a year and turned her life to Jesus a week earlier. She saw Strawberry from across the room, and to be honest, she says, was sickened by the sight. “When I saw Darryl that day, it was kind of disturbing,” she said. “I was real aggravated with him because of the buzz all over the convention, ‘Darryl Strawberry is in the house.’ There was a flock of people around him. He was just sitting in a chair, thin-framed. Physically, he was not well. He was in a dangerous state, active in his addiction. But people looked at him as just the baseball player. Tracy was on her way out the door when she was introduced to Strawberry by a mutual friend. They wound up talking most of the night. And kept talking every day. They became a couple within two months, but the relationship teetered every day. “I always had women in my life because it was my lifestyle,” Strawberry said, “but I was never emotionally attached to them. I didn’t have feelings. Me and Trace were getting attached. I knew in my heart I loved her, and cared for her, but I was dangerous. Tracy stayed clean, going to real estate school in south Florida, but Strawberry’s addiction continued to rage. He would disappear for days. One day, he even stole her car. Tracy refused to give up on him. “I wanted to save Daryl. I saw the greatness in him. I saw the potential,” Tracy said. “I would chase him, banging down crack house doors, pulling him out. To some people, that was heroic. But that was crazy, and dangerous. They broke up, again and again, until finally, Tracy told him she was going home to Missouri. If he really loved her, if he was really committed to giving up his addiction and turning to Christ, he could follow, living in her parents’ basement. They turned their lives over to Jesus, attending the Church On The Rock in St. Peters and becoming actively involved in worship. Tracy worked in real estate, Strawberry worked as a part-time Mets’ instructor and TV commentator, before deciding he would dedicate his entire life to ministry. They slowly eased out of debt, were married Oct. 1, 2006, at the Little White Chapel in Las Vegas, and moved into their own apartment in St. Peters. Today, they have their ministry — strawberryministries.org, where the web site leads with, “Don’t copy the behavior and customs of this world, but let God transform you into a new person by changing the way you think” from Romans 12:2. They opened The Darryl and Tracy Strawberry Christian Recovery Program in Longview, Texas, and hope to launch two others soon in Orlando and St. Louis. They also have a Coffee House prayer meeting every Friday night at the Darryl Strawberry Adult Day Program for Autism building. And they’re just getting started — much to the delight of this town. “They have meant everything to this community, particularly me,” says Marcia Funderburk, 58, who reveals that two of her adult children are heroin addicts. “You want to just throw in the towel, and give up. It’s been such a nightmare. You’re so beaten down. Serene, 53, and Harold, 65, who requested their last name not be used because of debt collectors, say they are in financial ruins. They lost everything in the home-building and realtor businesses. They had nowhere to turn, seeking comfort and hope. The stories go on and on in this community. Kim Noah says she’ll be forever grateful for the inspiration Strawberry provided her 35-year-old son, addicted on pain pills and jailed for illegally writing doctor’s prescriptions for valium. The Strawberrys, these people say, can relate. “It’s that desire, that addiction,” Tracy Strawberry says. “You don’t control it. It controls you. Your mind. Your emotions. Your behavior. It’s like the devil taking chunks of your life away. It’s their horrifying life experiences, the Strawberrys say, that enables them to relate. They have had the highest of highs. They’ve seen the lowest of lows. They believe they can reach the troubled souls and, if nothing else, instill hope. 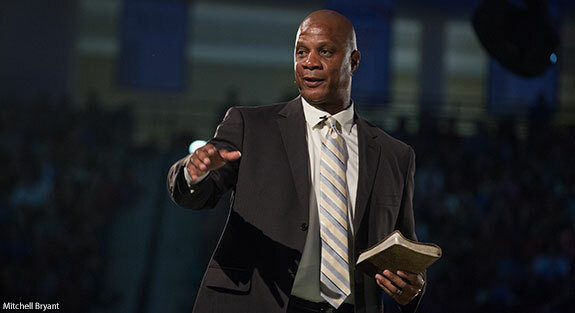 “I wish I could have been like a Gary Carter (the late Hall of Fame catcher and a Mets teammate) or (NFL quarterback) Tim Tebow when I was playing,” Strawberry says, “and have Christ in my life the way I do today. When Carter left here, he left here as a right man, a righteous man, who lived his life right. He loved his faith. “I look at Tebow. He gets bashed because of his faith. Let ’em laugh. Let ’em talk. He’s a greater man than anyone who might be greater than him as an athlete. He’s a real man. As for himself, Strawberry says he’s certainly not a hero, nor a savior. He’s on a mission. “We’re not into this for publicity,” Strawberry says. “We’re into it because God called us into ministry. We became who God wanted us to be. We’re trying to bring purpose into people’s lives, why they’re created, so they can fulfill their real purpose and destiny.